Happy July 4th! The first month of summer running is done and I had an awesome kick-off to non-race training. It’s so nice not to be worried about hitting paces or feeling guilty about not hitting my mileage for a week. The biggest highlight of June for me was my first trail run! I loved it so much and I’m getting out for a second trail run this week. It’s a switch up from road running and a challenge. Plus, it gets me to slow down but still get in a heart pounding workout. June running was also about getting acclimated to even hotter (and more humid) runs. Even running at 5 a.m. meant some 70+ degree runs with higher humidity. But I feel like I’m getting a little bit more used to it and it’s feeling a little bit more comfortable running in the morning. Still, my last run of June was pretty horrible with it being really humid and almost 80. 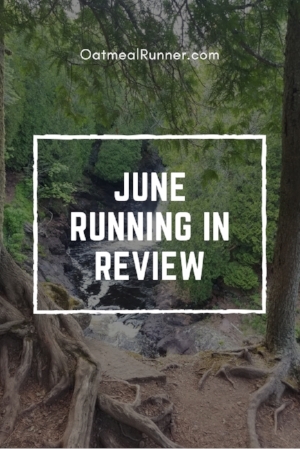 How was your June running? Share some of your favorite running moments or stories in the comments.